Burkina Faso is a French speaking country and is known for its rich diversity in culture, the friendliness of the people and accessibility of the villages. Many would argue that the agreeably, laid-back Burkinabé (as the population is called), are the country’s best asset. Burkina Faso is furthermore known for its many culture and arts festivals organised every year. The country is very rich in culture and arts, city life is charming and vibrant with live music and performances almost every evening. The countryside is worth exploring and gives plenty opportunity to enjoy the many different landscapes, from the Sahel desert in the north to the savannah of the central plateau and the lush rainforest in the extreme south-west. 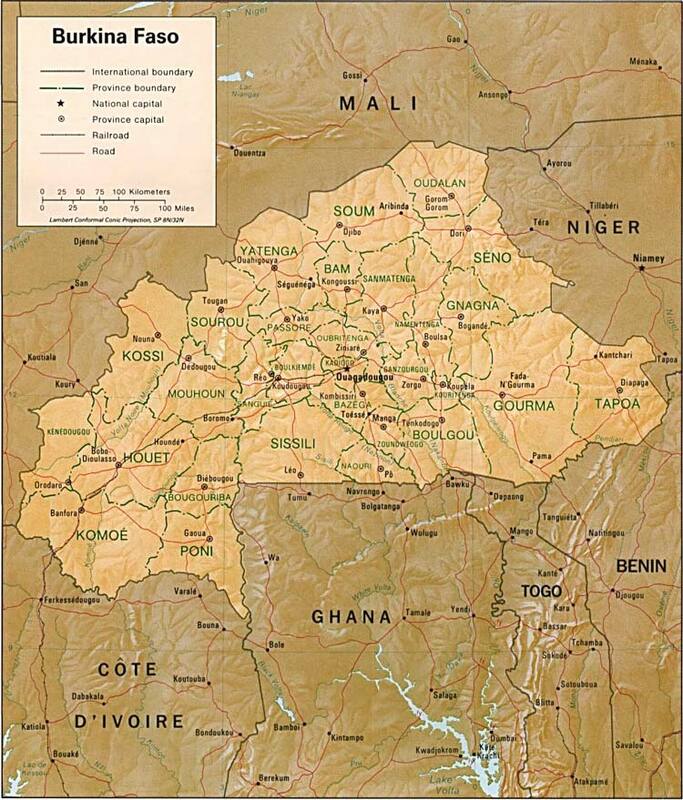 Burkina Faso can be visited as a single destination or in combination with Ghana, Togo or Benin. Experience the charming atmosphere of Bobo-Diaulasso and visit ‘Le Grand Marché’. Learn about the well-preserved and distinctive traditional Lobi culture in their capital Gaoua. View the special architecture and visit the Musée the Poni to see exhibited art, Lobi lifestyle and pictures from the colonial period. Experience the rich culture and arts in the capital of Burkina Faso, Ouagadougou, and visit the Musée National or the gallery of Mattias Lafon. Furthermore, visit one of the many markets that can be found in the city. 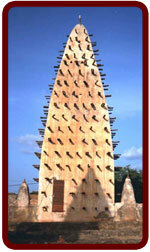 Visit the centre of the Burkina leather industry in Kaya. Take a look at the leather workshops behind the cattle market and see how amongst others shoes, purses and bags are made. Explore the grounds of the Manega museum which is full of mystery and sacred artefacts. The collection is very rich and includes amongst others sacred masks which participated in rituals when men passed away, tomb stones and stone guns. Enjoy Ouagadougou, one of the liveliest cities of West Africa and stroll around the endless gardens and outdoor bars with live music. Bobo-Dioulasso is also a nice hangout with a relaxed atmosphere, plenty street cafés and an active nightlife. Attend Fescat, the arts and culture festival in Tiebélé. Here, archery, painting, music, djongo (the local dance), theatre, stories and riddle-telling are displayed. Dédougou is especially worth a visit during the mask festival ‘Festima’, which is celebrated each year in March. All masks which are otherwise only seen on special occasions are shown and displayed at this festival. ‘Les Nuits Atypiques de Koudougou’, a five-day cultural festival in Koudougou, is mostly organised at the end of November. This festival shows musicians, traditional and modern dance, street theatre and clowns from both Africa and Europe and is very interesting to visit. Ouagadougou hosts several yearly and two-yearly returning festivals like the FESPACO (the biggest movie festival of Africa), mostly organised in February or March, and the SIAO (a large international African Arts festival). The city of Bobo-Dioulasso every two years organises the cultural festival SNC (Semaine Nationale de la Culture), where traditional dance and singing groups perform their work. SNC is a colourful spectacle with international flaire. Learn about the previous hiding place of the people from Nyangsogoni. Here, small houses were built in the mountain walls where villagers had to hide themselves from the enemies. The little huts and grain barns are still in considerable state and the views from the mountain are magnificent. Visit the old and still well-preserved mosque in Bobo Dioulasso which was built in 1880 in Sudanese style. The old neighbourhood Ibidwe is also worth a visit, which hosts separate parts for animists, muslims, griots and blacksmiths. Go to the green and fertile landscapes of the Sindou Peaks near Banfora. Visit the Karfiguela falls, which gives plenty opportunity to walk around, swim and sunbathe. Great views, a grassy picnic area and a series of natural jacuzzis are found here. In addition, go to the domes of Fabedougou, a bulbous rock formation created by water erosion. Visit Lake Tengrala to see hippos from very close by. The villagers around the lake believe the hippos to be holy, therefore the fishermen are not afraid to get close and show them to you. Take a fresh bath atLa Ginguiette, a popular attraction near Bobo-Dioulasso. This is a natural, crystal-clear bathing area located in a lush forest. Spot one of the eight hunderd elephants at the Nazinga nature reserve. Or see some of the antelopes, monkeys, buffalos, hyenas, wild boars, crocodiles and many bird. Visit the lake near Bazoule, where there are holy crocodiles to be found. Listen to the story behind the crocodile pond. “ We had the most wonderful 2 week trip through the Volta Region with Frances. He is a treasure! What a good careful driver he is despite the road conditions. His pleasant, friendly and upbeat nature was a joy to be around. He introduced us to as many local foods and customs as we could absorb.